Small group activity: Mixed Oak-Hickory: Developing silvicultural prescriptions on different sites. Lefland, A.B., M.C. Duguid, R.S. Morin, and M.S. Ashton. 2018. The demographics and regeneration dynamic of hickory in second-growth temperate forest. Forest Ecology and Management 419-420: 187-196. Smith, D.M., and M.S. Ashton. 1993. Early Dominance of Pioneer Hardwood After Clearcutting and Removal of Advanced Regeneration. Northern Journal of Applied Forestry. 10(1): 14-19. Ward, J.S. 2017. Twenty-five year response of non-crop trees to partial release during precommercial crop tree management. Forest Ecology and Management 387: 12-18. Frey, B.R. and M.S. Ashton. 2018. Growth, survival and sunfleck response of underplanted red oaks (Qurercus spp., section Erythrobalanus) along topographic gradient in southern New England. Forest Ecology and Management 419-420: 179-186. 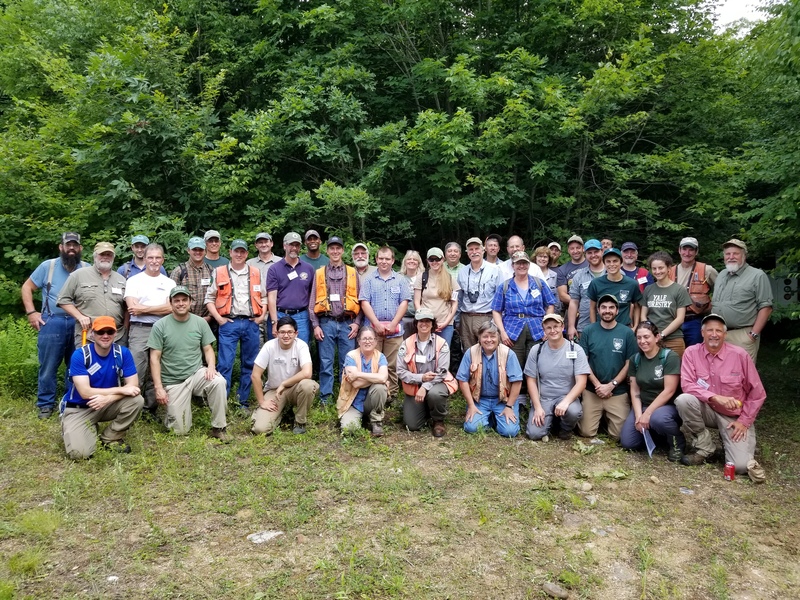 The goal of this assignment is to apply the knowledge gained through today’s presentations and your previous experience to develop silvicultural strategies for mixed oak-hickory forests based on their topographical position on the landscape. Form a small group and discuss the questions on this worksheet: Assignment for Mixed Oak-Hickory: Developing silvicultural prescriptions on different sites. Fill out and submit one group worksheet (see “Upload your assignment” below) by Friday morning before the session begins. When naming the file, use at least one last name of a person in your group. Certificates of attendance will be distributed at the end of day two.